The SPC Elite is the perfect control whenever On/Off or two position control is required. The SPC Elite constantly displays the sensor’s value as well as the Set Point to be reached. 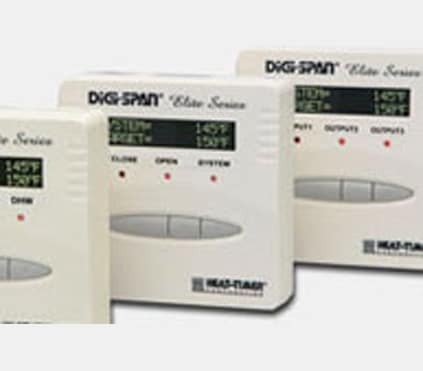 When the sensor reading falls outside of an adjustable differential, the output relay (S.P.D.T) will energize activating or deactivating the pump, boiler, compressor, valve, or other corresponding equipment until the set point is restored. The same SPC Elite control can be connected to an array of temperature, pressure, vacuum and humidity sensors. It can even be connected to high temperature sensor up to 900°F (500°C). This makes stocking SPC Elite easier than ever. Each SPC is field selectable for a broad range of parameters. Just select or stock the sensors you need with your control. The SPC-Elite is the set point perfect control. With S.P.D.T (Single-Pole-Double-Through) it makes it easier for the user to select if the output is Normally Open (N.O.) or Normally Closed (N.C.). The SPC-Elite is capable of operating in cooling or heating application. The operator simply selects the option suited for the application. The SPC-Elite is now equipped with External Activation that allows a remote device to enable or disable the SPC-Elite operation. Can be Powered by 120VAC or 24VAC. The SPC-Elite is normally powered by 120VAC. However, it has an alternative 24VAC power input. No transformers are required. English or Metric. The same SPC-Elite can be configured to follow either standard. Each with an array of sensor options for versatility. Mounts on a 1900 Box or a Digi-Elite Wiring Enclosure; with or without a built-in control switch. The flexibility of mounting the control and the use of the optional wiring enclosure, makes this control fit any application need and most tight spaces. Sensor Fault Output Option. The SPC-Elite offers the option of switching the On or Off when a fault condition occurs. 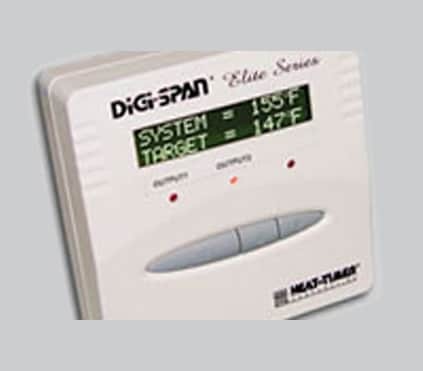 One control can operate in single-stage heating or single-stage cooling.